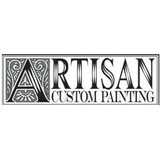 Mike Jasinski Painting is the preferred Main Line painter for many reasons. Aside from our expertise in both house painting and commercial painting services, our clients know they can count on us for the highest quality results because we take the time to do the job right by making sure we do the prep necessary to ensure you have a blemish free surface. We take pride in the work we do, and you can rest assured that your painting project will be nothing short of stellar when you hire the licensed and insured painting contractors at Mike Jasinski Painting to provide for your painting needs. T.C.M. Finishes provides professional interior and exterior painting services throughout West Chester and the surrounding areas. As a life-long West Chester resident, a West Chester University graduate and a honorable Borough resident, I appreciate historical Chester County for its inviting hospitality and small-town charm. T.C.M.’s professional painting services provide distinct color and style to Chester County’s homes and businesses. The overall priority of the company is focusing on each client's needs. By developing excellent customer relationships, our finished projects result in exceptional painting services as well as establishing reputable partnerships between our client and the community. We are a professional painting company on the Main Line. We paint every type of house and building: interior, exterior, residential, commercial, office, and condominium. We've been voted "Best Painter" 4 of the past 5 years running in Main Line Life. Lauro Painting is a full service, award winning interior and exterior painting contractor servicing the Philadelphia area for over 25 years. Offering our customers a high quality product with exceptional customer service and honesty. Daroo Designs is a working and teaching studio located in Blue Bell, Pennsylvania, that specializes in custom murals, decorative paint and plaster finishes, unique, handpainted furniture and color consultations for business and residential properties. Our works have been published in national books and magazines, seen on several television networks and have been visited by more than 100,000 in the many show house events that we have been invited to participate in. Daroo Designs was founded in 2003 by Mary Dima, an Emmy-Award winning creative force in the Philadelphia television industry for 20 years. Contact Mary today to learn how she can transform your space into a truly creative work of art! 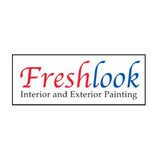 Painting contractor based in the Lehigh valley. We work with our clients through the entire project to ensure complete satisfaction.